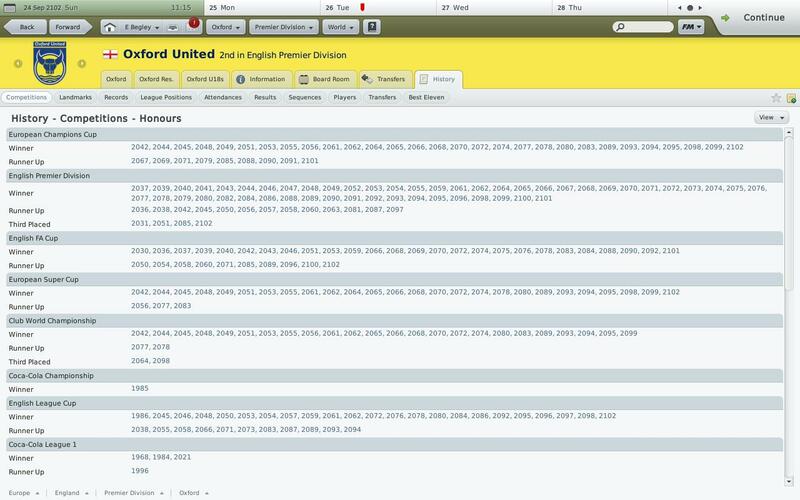 We've all had Football Manager games that have got a bit out of hand. But this is one save game that takes some beating. 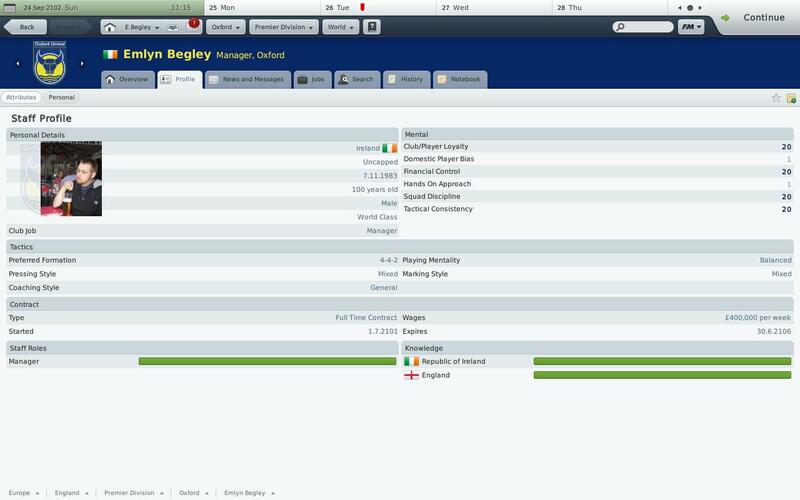 Oxford United fan Emlyn Begley racked up 93 years in charge of his beloved club. 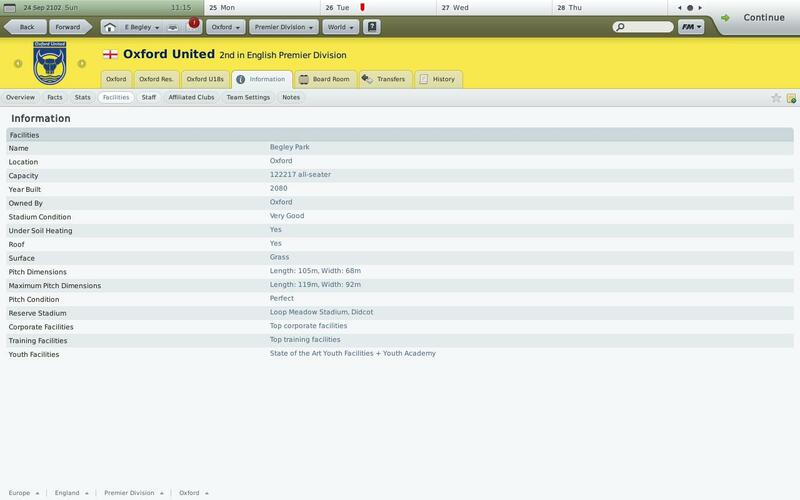 Emlyn, a journalist at BBC Sport, played the 2009 version of FM until 2102 - when his manager age was 100 years old. 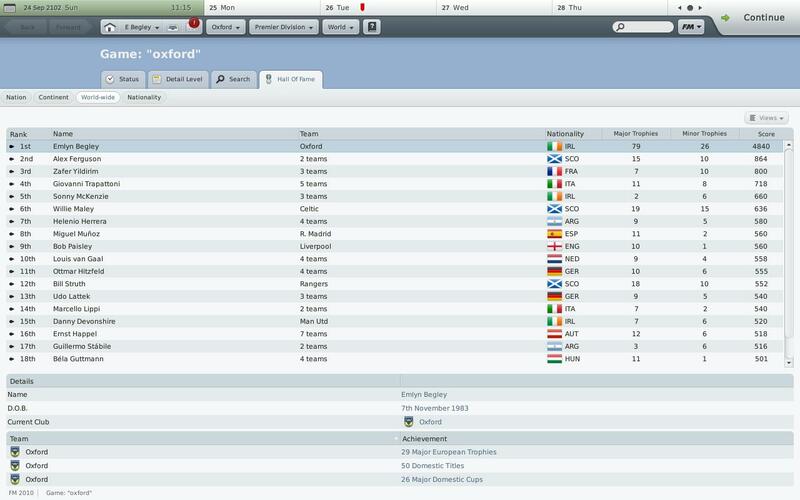 His wage at Oxford was £400,000 per week and he was listed as the greatest manager of all time, ahead of Alex Ferguson. 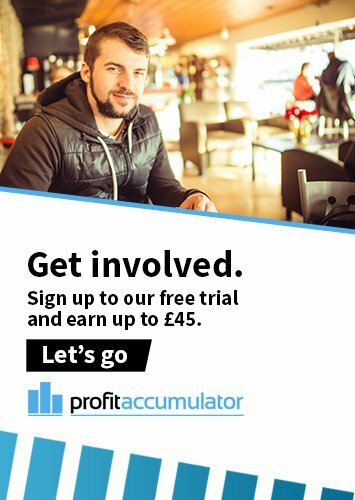 Emlyn told Profit Accumulator a bit about his amazing save game. Between what years did you play it? Between about 2009 and 2011. Were you working at the time? Yeah, I worked full-time at BBC Sport for all of it! Did you have a wife or girlfriend - what did she make of it? I was single at the start of the game, but started going out with my now-wife somewhere during the game. She didn’t mind at all. Had you played a lot of Champ / FM before? Have you played much since? 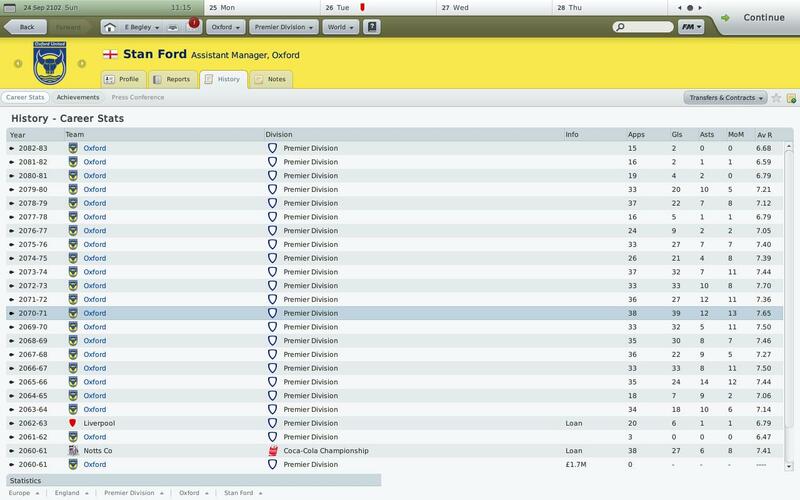 I’ve played obsessively since Championship Manager 2. My brothers both played too. In fact, one of them had a game that went on for 200 years at several different clubs about the same time as this Oxford game. After this game I basically retired from the laptop versions of the game. How could any ever follow this one? I still play the mobile version on my phone and tablet, but it’s nowhere near as addictive. Why did you choose Oxford? 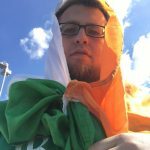 I support Oxford, despite being Irish, as my parents were both born there. Did you never get tempted to leave it? Well I did leave it eventually. 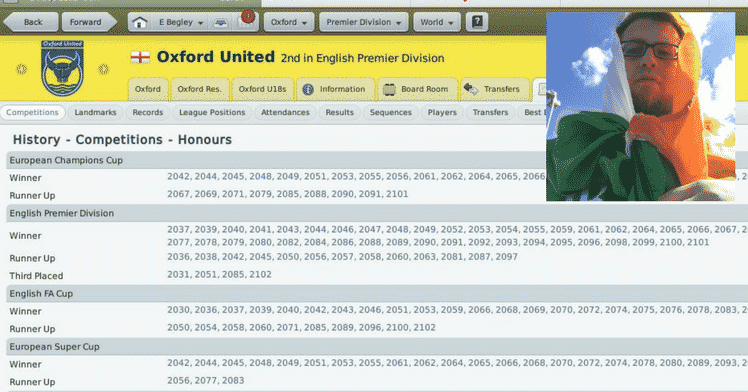 I always knew no Football Manager save game could ever follow this one, so ‘retired’ from the laptop version after finishing this game. But I never ‘concluded’ the game – I didn’t quit or retire. I just saved it in September 2102 and shut the game down. I have saved it on Google Drive so if I ever decide I want to play again in the future, it’s an option. A dangerous option. Like a ticking bomb. Who was your best player? If I had a virtual wedding, Stan Ford would have been the best man. 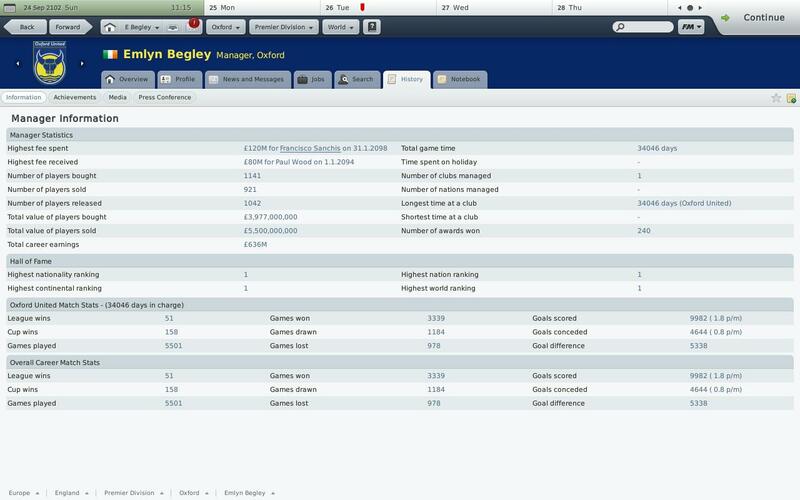 I signed him from Leicester for £1.7m as a youngster and he went on to score 671 goals in 925 appearances over 23 years. He won six consecutive World Footballer of the Year awards and also won six European Golden Boots in a row (winning seven of each in total). 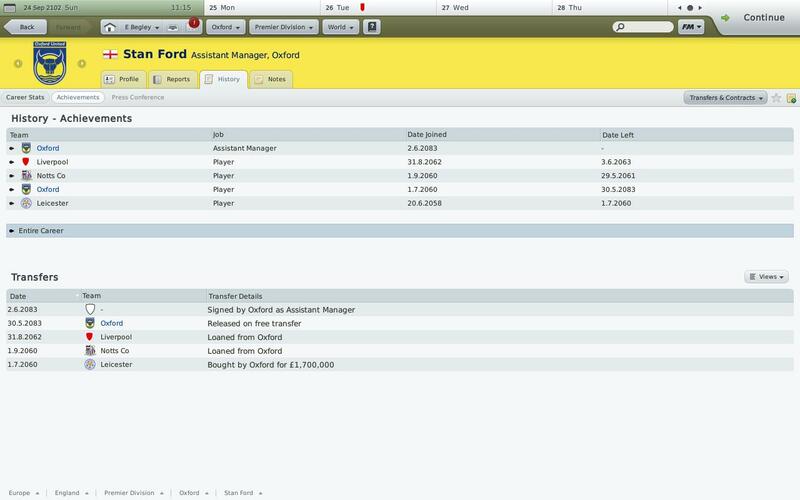 After retiring he went on to be my assistant manager for 19 years until I stopped playing the game. 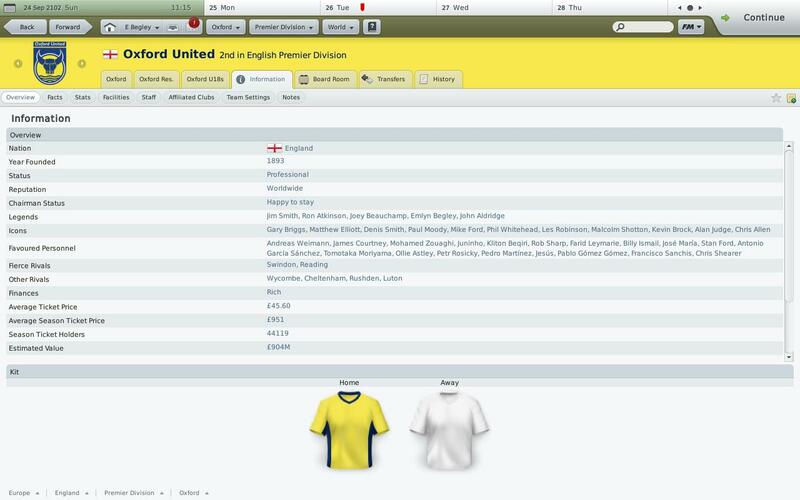 An honourable mention for Preston Edwards, who was my first-choice keeper for about 15 years, making 709 league appearances, but then retiring in the summer I won promotion to the Premier League. Scored a penalty on his final appearances for good measure. When did you know it was time to stop? 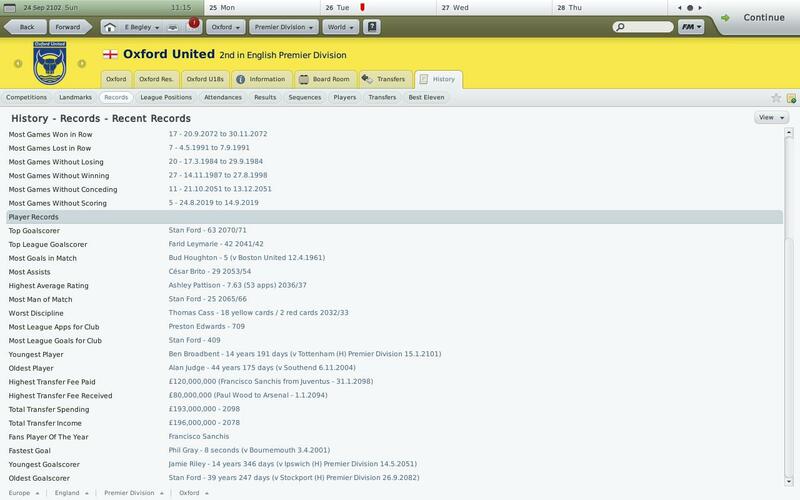 I decided it had taken up enough of my life, a day off work was just a day of FM generally, and it was going really slow, as my old laptop struggled with a 93-year database. I just went on to replace FM with Netflix though, so my time off work didn’t become any more productive.